The reasons were simple. 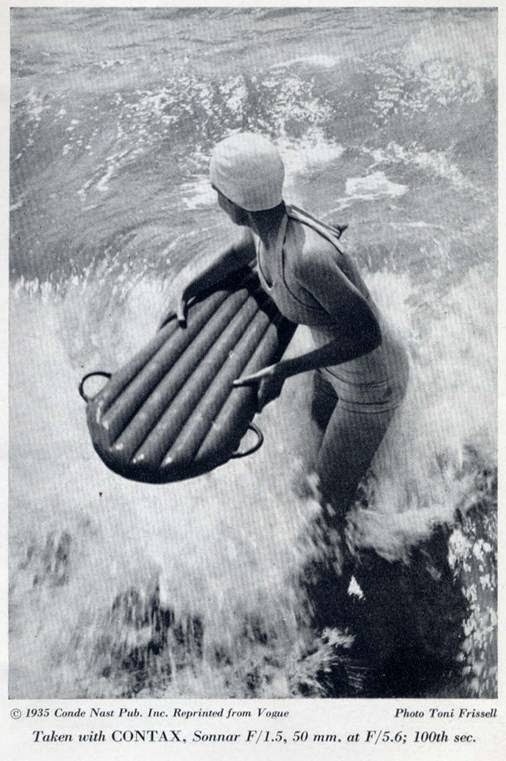 Even the earliest mat worked pretty good, and there weren’t that many “serious” mat surfers in the world. 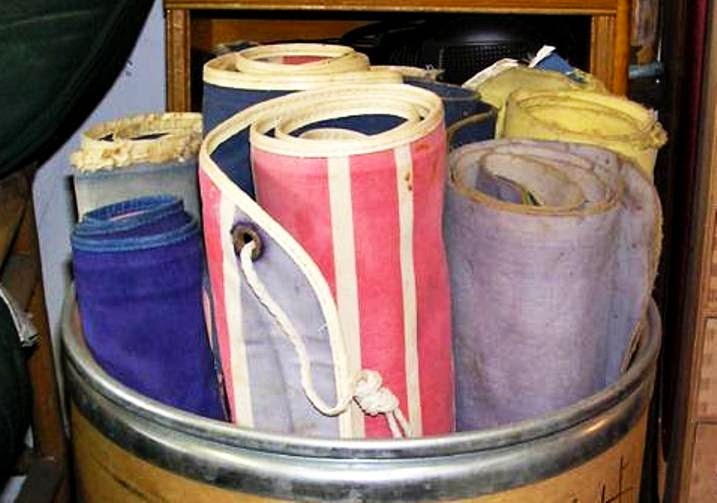 Plus, mats were mass produced, so unlike the burgeoning custom surfboard industry of the 50’s and the 60’s, the needs of individuals were lost to the restrictions of the manufacturing process. Mats were sadly lacking...stuck in a 'one size fits all' mode. By the early 60’s, George Greenough started riding stock Converse Hodgman mats softer and softer, to wring more performance out of ’em. A combination well-broken in fabric and low inflation levels added a 2nd, 3rd and sometimes even a 4th gear to his straight line speed. 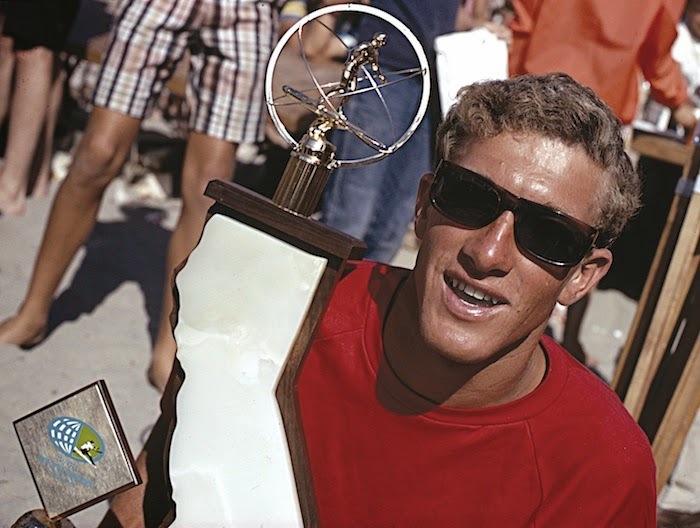 His enormous surfing talent combined with the quality point and reef surf in the Santa Barbara area netted an effective approach. 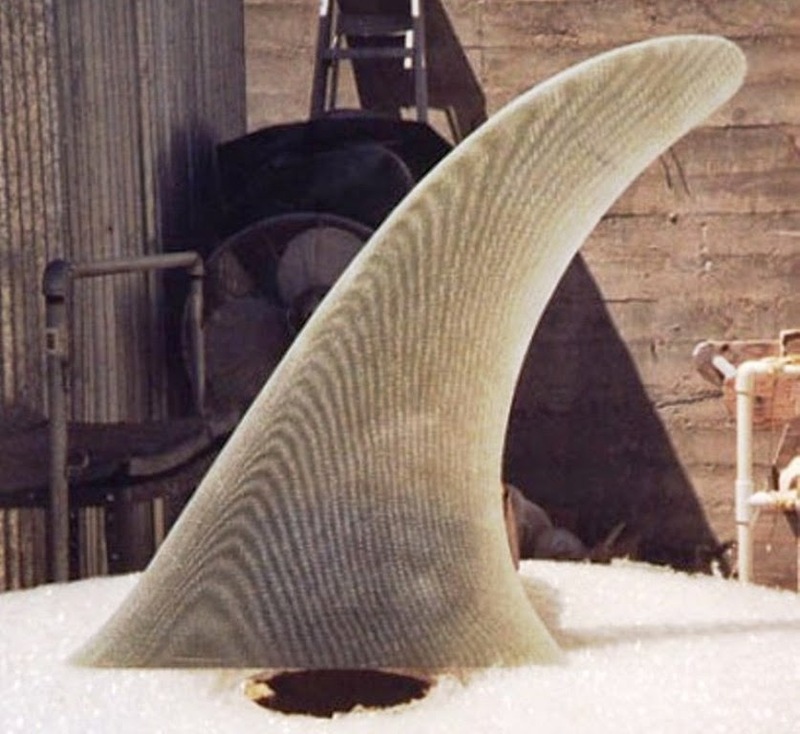 In the early 70’s, Woody Woodworth, down in Corona Del Mar, started customizing Hodgmans by laminating a second layer of canvas for supreme toughness, and adding small twin fins to the tail. 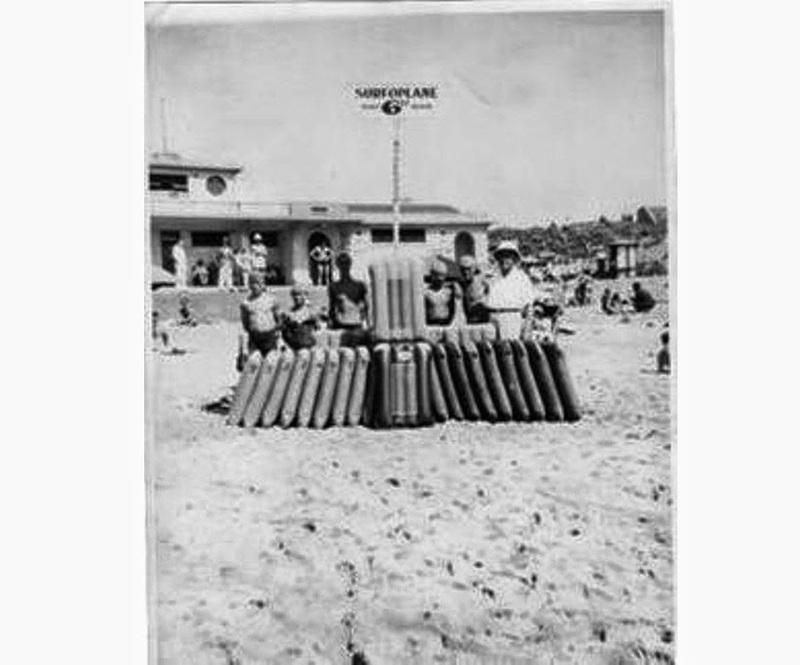 While these rafts were the polar opposite of Greenough’s finless, softer-is-better design paradigm, ‘Woody Rafts’ were well-suited to the dangerous, jetty-adjacent surf in his area. It was probably the first instance of mats being built (or in this case, heavily modified) for one particular need. 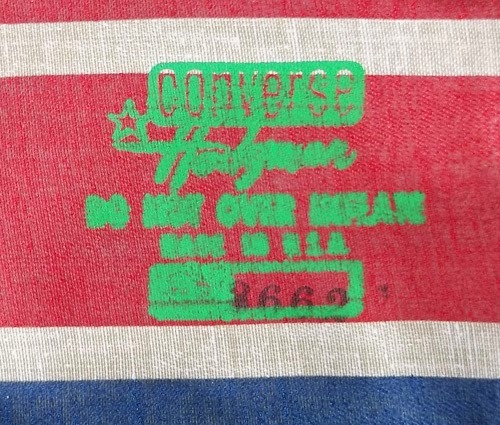 By 1978, the Morey Boogie had killed off the high end surf mats like the Hodgman Converse, and the cheaper, Taiwan-built Rip Curls and Merrins replaced them by default. Unintentionally, these flimsy mats gave us insight into what could be achieved with more pliable fabric. Then George broke the scene wide open when he started riding Merrins with the bottom canvas torn off, leaving only the raw rubber liner material as the bottoms skin. “The Peelers” were the first mats to really exploit the idea that a mat built with thin fabric could excel. They were very fast by that era’s barometer. Whenever we’d drag out a Hodgman for old time’s sake, it was a shock how heavy, stiff and slow they were by comparison to the Peelers. In response to that upgrade, Merrin modified their mat design with a nylon-over-rubber bottom, which added slickness, but was actually stiffer than the canvas and rubber bottom. So not a real improvement, but a good attempt. 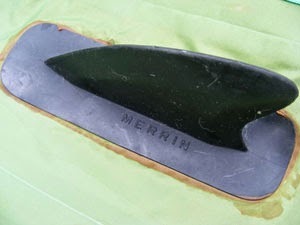 For a couple of years, roughly 1980 through 1982, the Merrin Peelers were the gold standard of mat surfing, at least among the Greenough-cognoscenti. But they were fragile, and didn’t inspire confidence in larger surf. 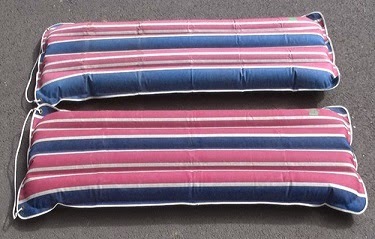 You always had to travel with a couple of spares in the trunk to make sure you got through a session. While the Peeler-era was percolating, George had been talking on the phone with Dale Solomonson up in Oregon. 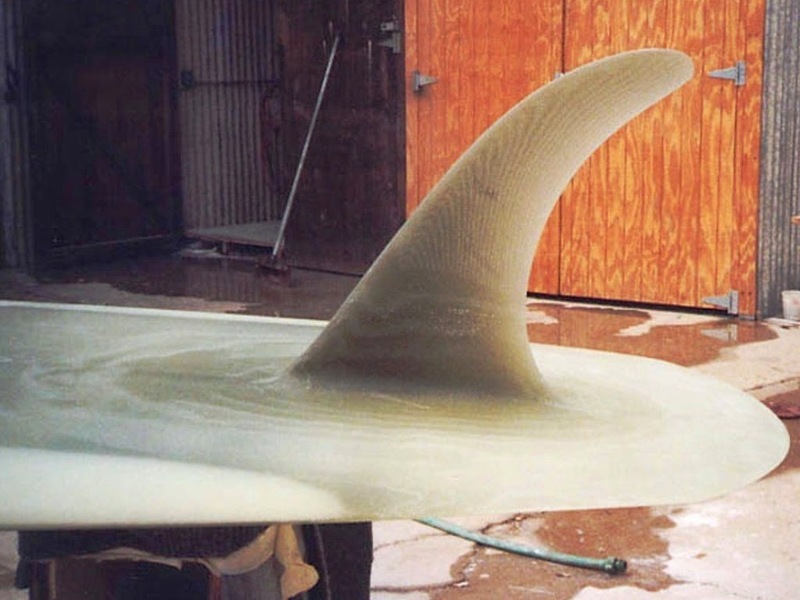 Dale was into building tri-plane ethafoam body boards. George, predictably, urged him to get into mat riding. Dale got a hold of some of the new Rip Curls – which were similar to the Merrins -- but they were a hassle to source, and ended up being costly due to his location. So he started building his own mats. 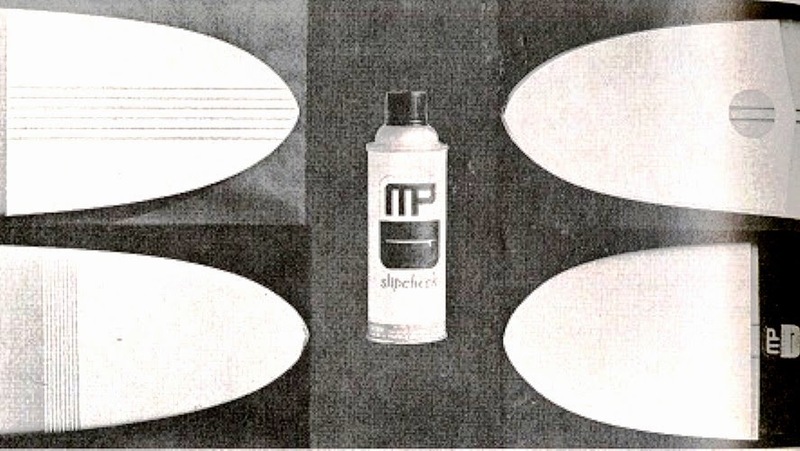 Somewhere in the mix of his early mats, Dale built a mat out of naugahyde vinyl. It was the first attempt to build a mat from scratch based on George’s belief that softer was better. The report filtered back to us that the naugahyde mat went well in the beginning, but quickly lost its structural integrity with use…vinyl being vinyl and all. Still, it was a step into the future. At that point, we started talking about making our own mats, since the commercial supply was quixotic at best, and Dale had proven that building them was a viable option. 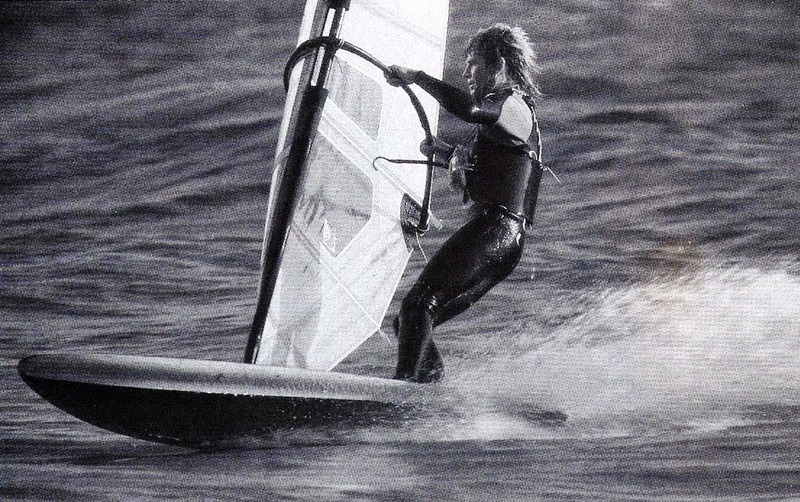 Greenough's spoon kneeboards were the most demanding surf craft on the planet to build. They took over 100 hours of work, spread over a month, to build. Adding to their massive build time, spoons demanded both size and quality surf to get them rolling. 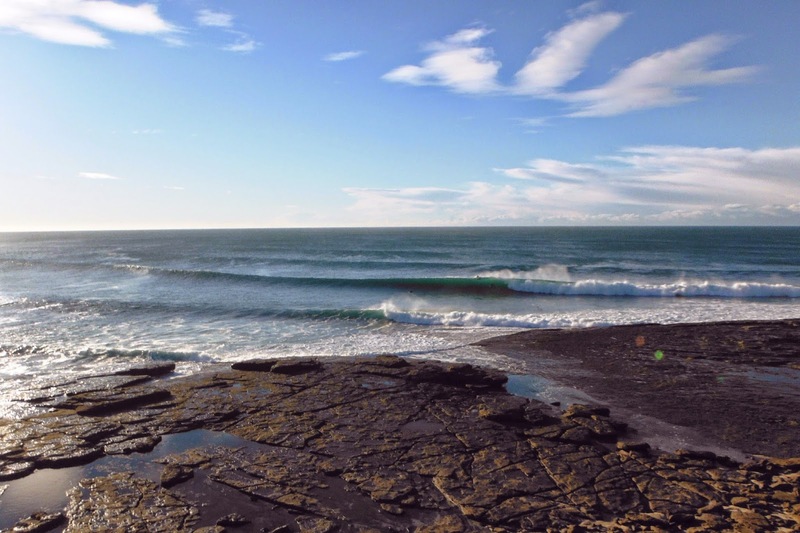 Big, hollow, offshore, and empty...good luck finding that combination more than a few times a year! 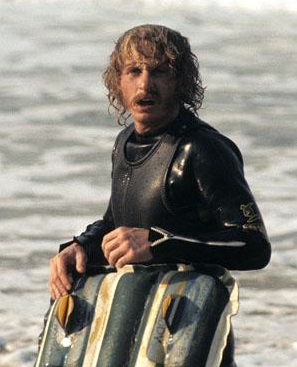 So...mats had always been George’s “no-brainer” fall-back for everyday surf. There was purity to the pursuit that resonated with George. “Just buy one, blow it up, and go surfing!” was his mantra. 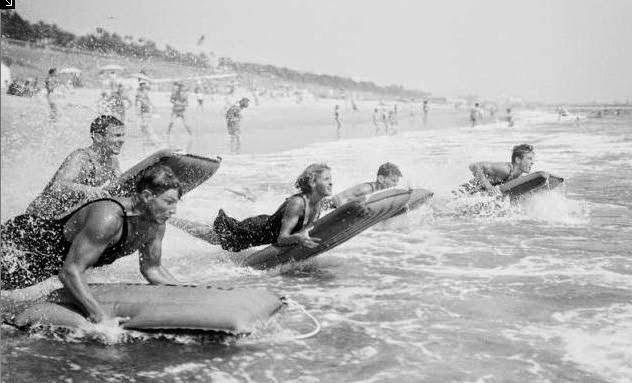 But mat surfing’s hoi-polloi (that would be the rest of us) started to look around and wonder…is there a better path to inflatable Valhalla,beyond George’s simple 'buy-and-surf' approach? In late 1982, Dale began talking about welding up a mat with some light, heat sealable nylon fabric he had sourced. My immediate response was, “Copy the old Stripes-Down Converse Hodgman shape!” In spite of its weight and out-of-date stiffness, that particular Hodgman had been the most potent design in the long history of mat surfing. 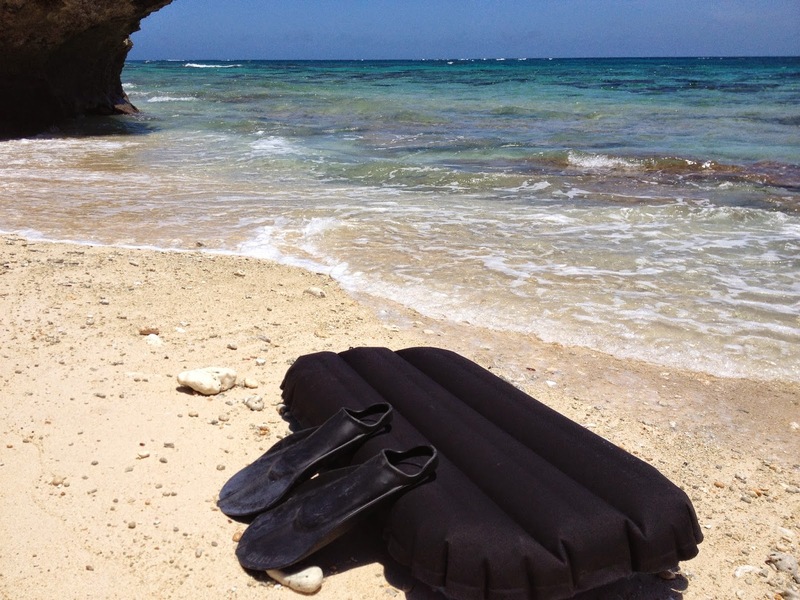 The newer, lighter, softer mats like the Merrin ‘Peelers’ had taken mat surfing to a new level…but because of their pliable material, not necessarily because of their shape. 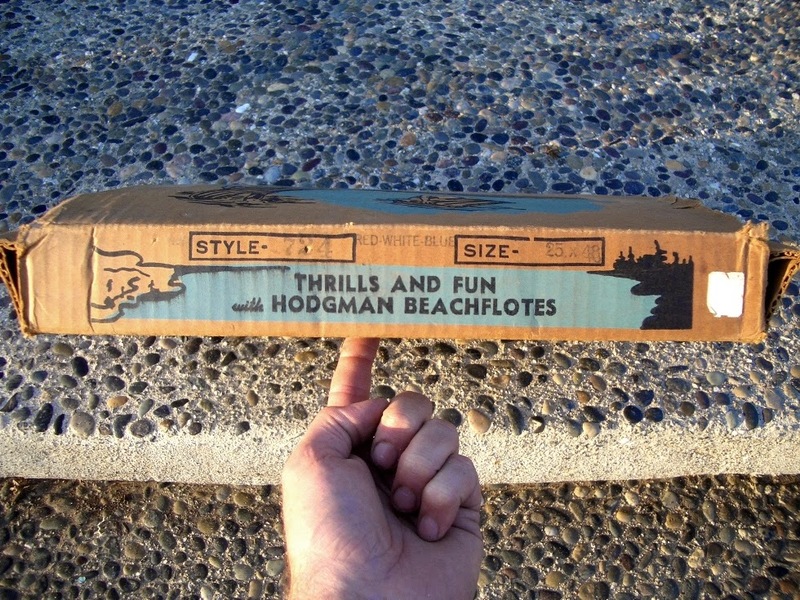 The long, lean Hodgman that George rode in the footage in Rubber Duck Riders (later seen in Crystal Voyager) was still the most desirable mat when the surf was clean and hollow. 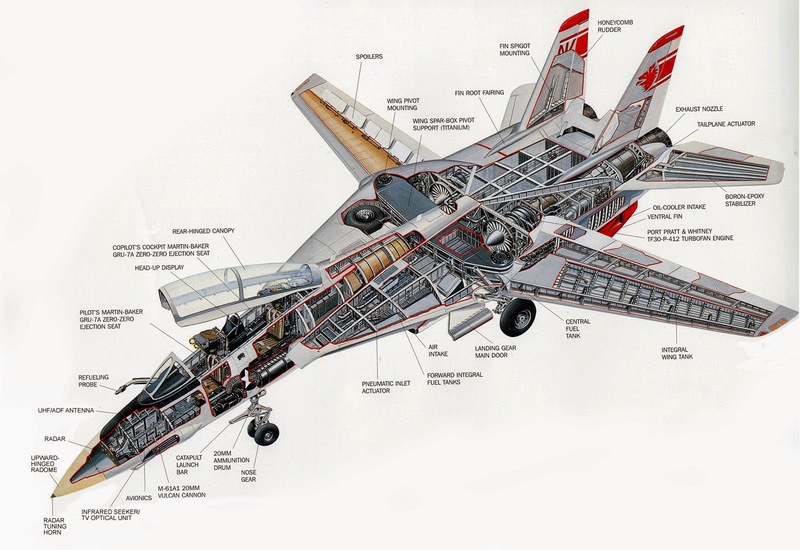 Yes, F-14's are more complex than surf mats! I averaged out the wild variations of the Hodgman’s interior dimensions, and forwarded the numbers to Dale. February 1983 saw a string of big, sloppy, rainy El Nino swells hit the West Coast. 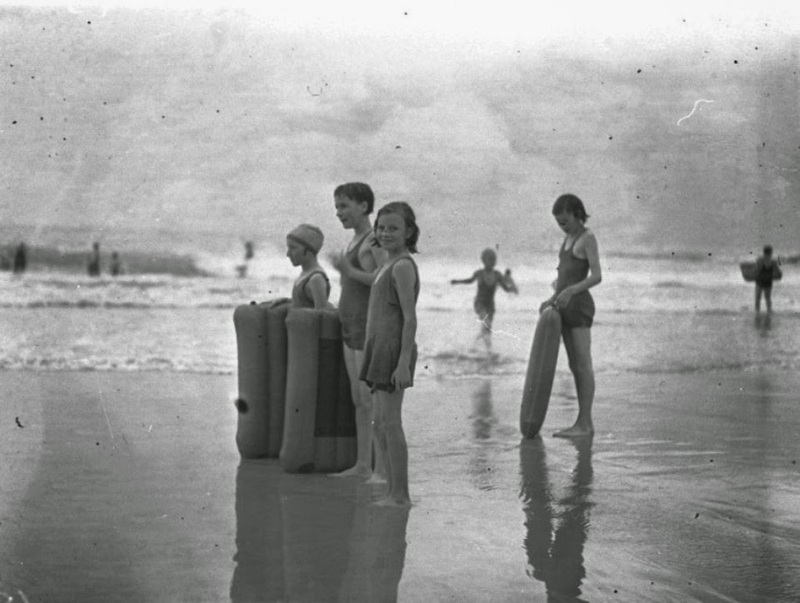 The day the first nylon mat arrived at our door, the surf was pumping. There was no non-skid on the deck of the Dale's new mat, and it was obvious that it would be too slick and slippery to ride. I had a case of Slipcheck in my garage left over from the 60’s, so George and I cracked open a can, hit the deck with a quick coat of the stuff, and headed out to find some waves to ride. The surf was sloppy, but head higher or better. It was threatening rain. The sea was brownish but not chocolate water. No one was out. It seemed like the end of the world. In retrospect, there couldn’t have been a better scenario for the mat riding world to take a giant leap forward. George snagged the first wave on the new mat, and disappeared down into the cove of the off-the-beaten-path point we were riding. 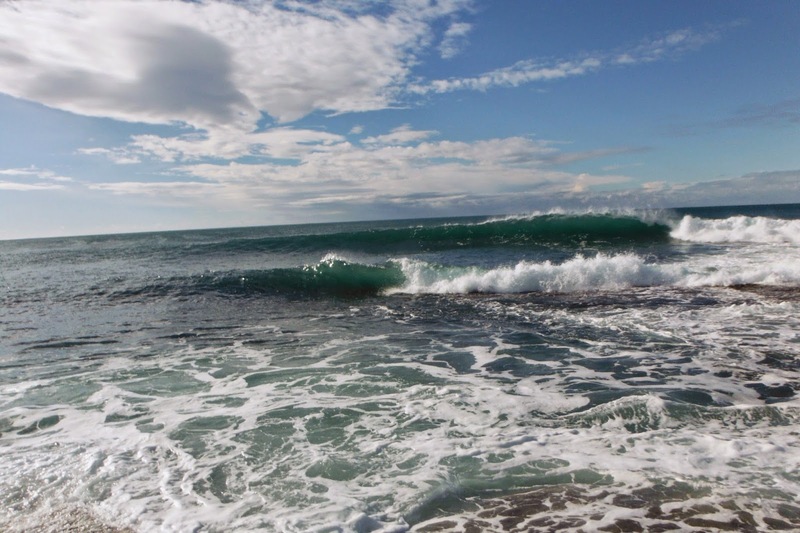 I could see his track coming over the back of the wave, and it was like a white slit in the water...as opposed to the snowplow wake a conventional surf mat carves. And the track was really long and straight. He was flying! George came paddling back a few minutes later and was speechless…which, if you know George, is a momentous occasion. 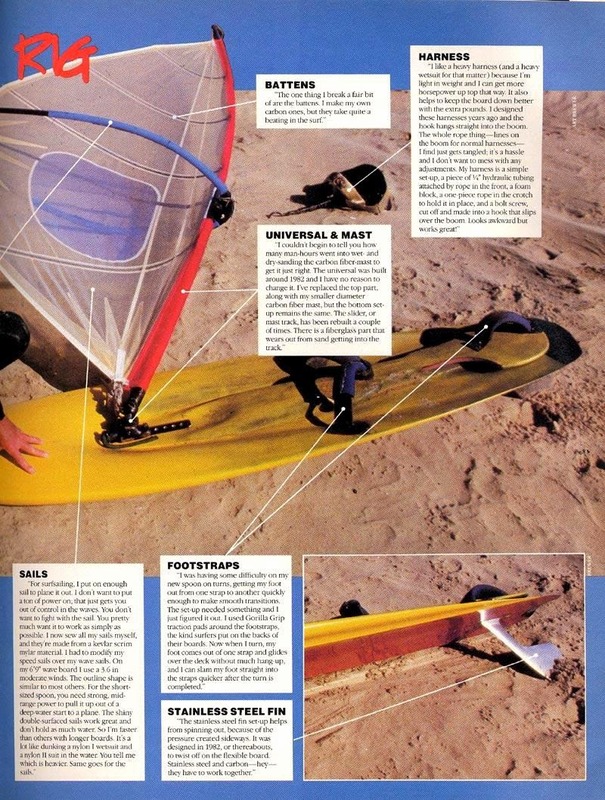 Over the course of that afternoon, George and I rode dozens of waves, head high or bigger, with the new nylon mat. The uncured Slipcheck on the deck wore off quickly, and that made it hard to ride. But the mat never hit terminal velocity. Every looming section, however distant, got eaten up. The other mat we had out, a 'cutting edge' Merrin Peeler, suddenly seemed crude and slow. So George’s belief that a more pliable mat would go faster was now proven beyond any doubt. The nylon fabric was light and flexible, but had enough integrity so it didn’t get saggy or mushy. The combination of “soft but crisp” material was obviously going to be the ticket. Phase 5 of The Slow Leak Revolution had begun! As we got more water time in on the nylon version of the old Hodgman shape, it became obvious that the superb handling of the old Hodgman had been, at least in part, due to its weight and roughly-textured canvas fabric. Dale’s slicker and lighter version had problems holding into steep sections, even when it was inflated to a nearly full level. So our take-away was this: The new material was a resounding success...but future nylon mats would have to break new ground, design-wise, to exploit the speed of next-gen fabric without any loss of handling. No one could have imagined how much time and money -- and fun -- it would take to sort it all out! 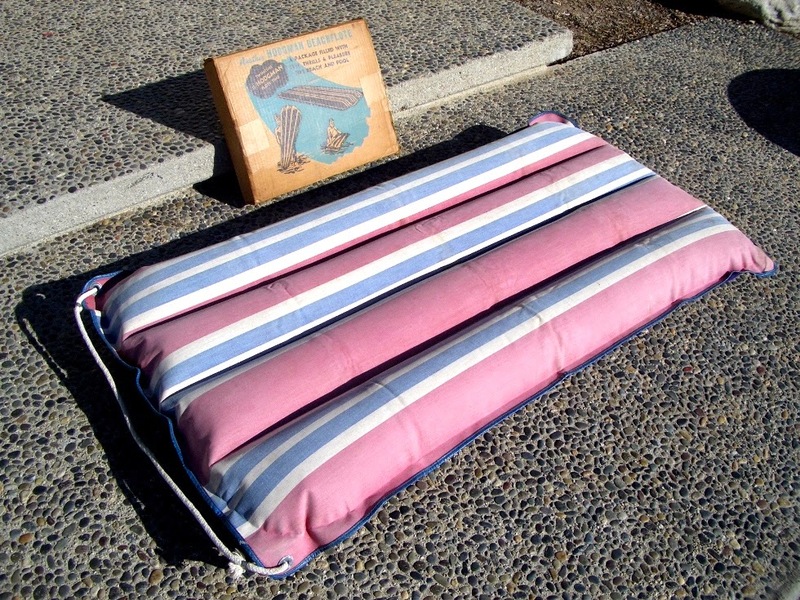 I'll be biking along the coast of oregon and california this summer, with the mat of course. Can't wait. My name is Yasuhira Idee and I am a surfer. Your Surf Mats are amazing, I and my wife love to surf with your mats. It's really happy time with those. Thanks. I attached the photo I took in Miyakojima, Japan. Just for a change I took my 4GF DRP Omni out for a slide in good, sizeable waves. 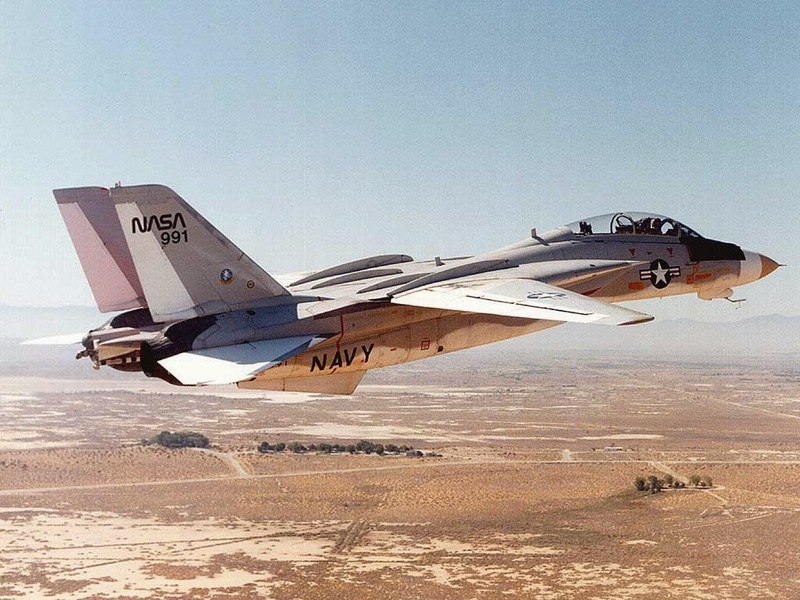 With the air pressure down low it easily took the drop and held its line on the fast walls. 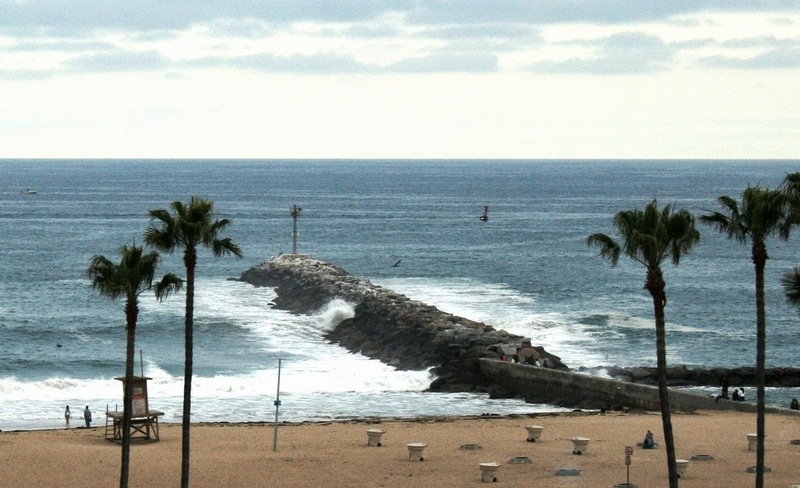 A couple of local surfers and I shared two hours of great waves. I was very impressed with how well the DRP handled the conditions. With great fanfare, conventional board surfing experienced a transformation during the late 60's that shook its framework to the ground. 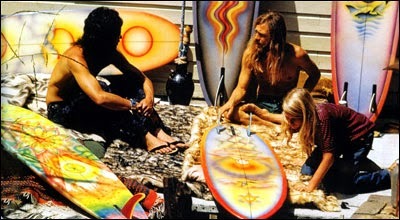 Surfers referred to it as "The Transition Era," while the surf media dubbed it, "The Shortboard Revolution." In either case, the classic "too big to fail" longboard labels like Webber, Hobie, Greg Noll, and Gordon & Smith were upended to the degree that they were never able to fully recovered their former glory. The emergence of the shortboard era -- in the form of smaller surfboards and a fresh attitude -- was that powerful. 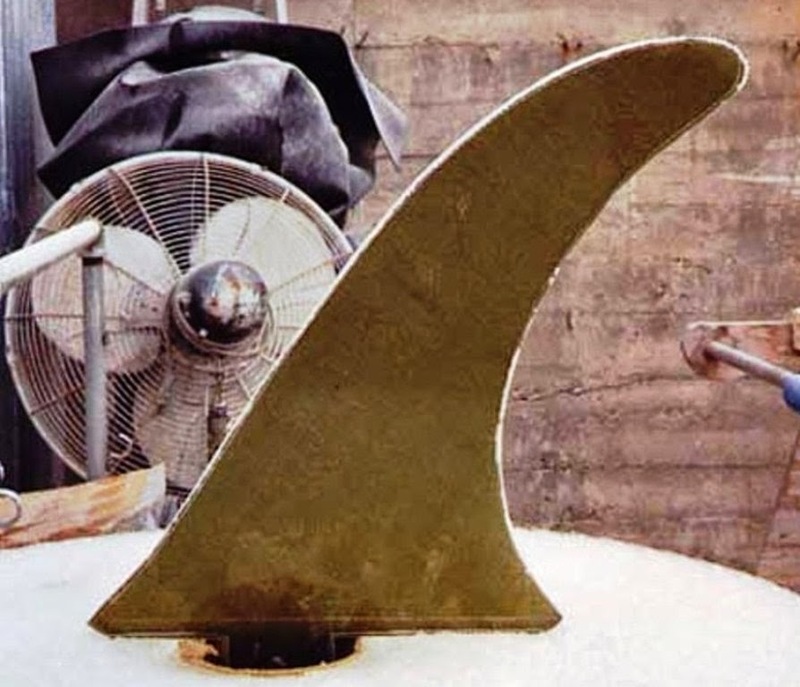 Sam was short by the standards of the day (10' plus noseriders were commonplace), and it featured a narrow, flexible fin designed and constructed by George Greenough. 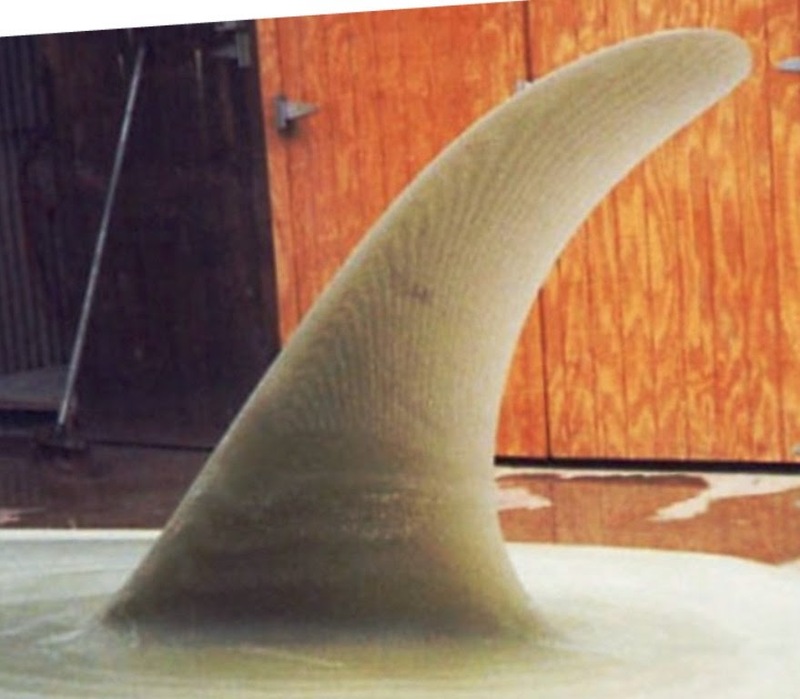 That fin was a key to Sam's performance...perhaps even more so than its shorter length and lean thickness profile. ...to sub-7 foot mind machines by the early 1970's. 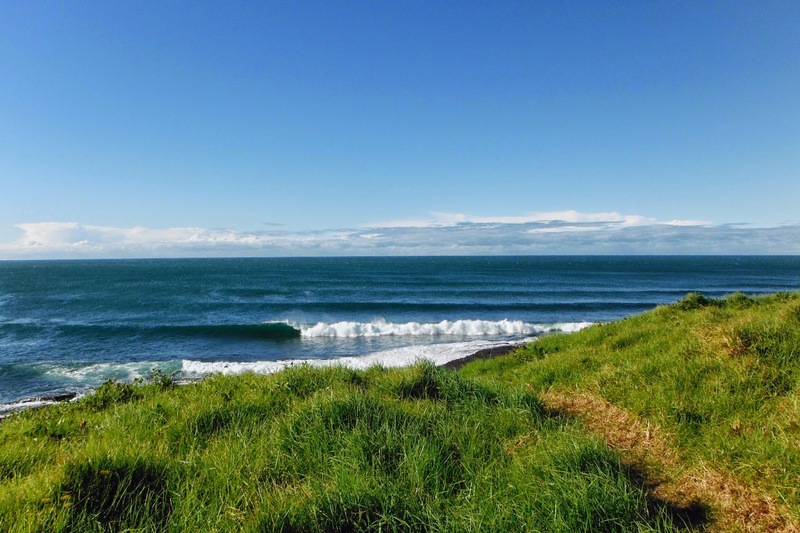 ...combined with Greenough's outside-the-box boards and surfing, resonated with surfers of every social perspective. Calling the shortboard transition era a "revolution" sounds cheeky today, but if anything, it's an understatement. For those who weren't around back then, we went from seeing nothing in the water under 9'6'' long to seeing nothing over 8' long in 18 months. The change was so radical, surfers who were inclined to keep riding longboards were actually intimidated to do so. 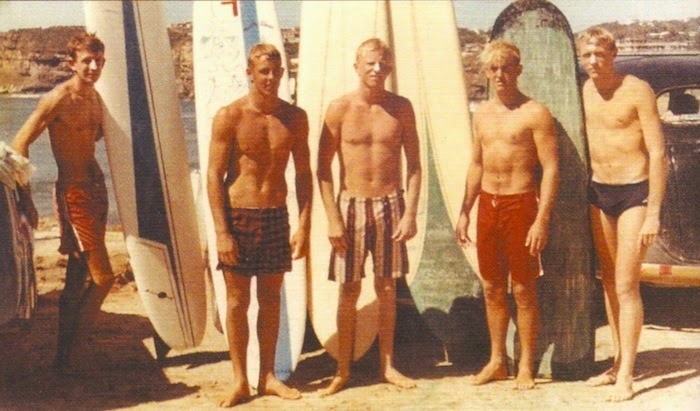 By the Woodstock summer of 1969, only San-O and Waikiki continued to embrace longboard surfing. Even First Point Malibu -- longboard heaven by any measure -- was filled with nothing but shortboards...aside from the occasional appearance by Lance Carson. The mythology of the shortboard revolution has been expressed for years, but historians invariably assume that stand up surfing was, and is, a pinnacle of the surfing experience. 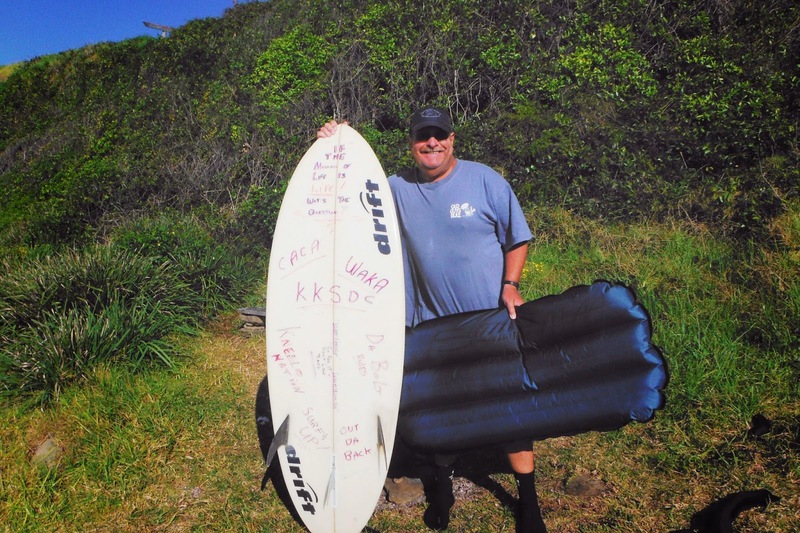 The fact that the seminal character in the transformation from longboards to shortboards -- George Greenough -- was both a kneerider and surf matter is generally downplayed. Mat surfing's own transition era -- from heavy cotton canvas rafts to new-age nylon rocket ships -- was also inspired by George Greenough. But we experienced a much slower change. George refers to it as "the slow leak revolution." That's a double entendre of sorts...referring to how long it took for the changes to take place, as well as how leaky mats (ridden softer by default) were one of his first clues that more pliable mats performed better. 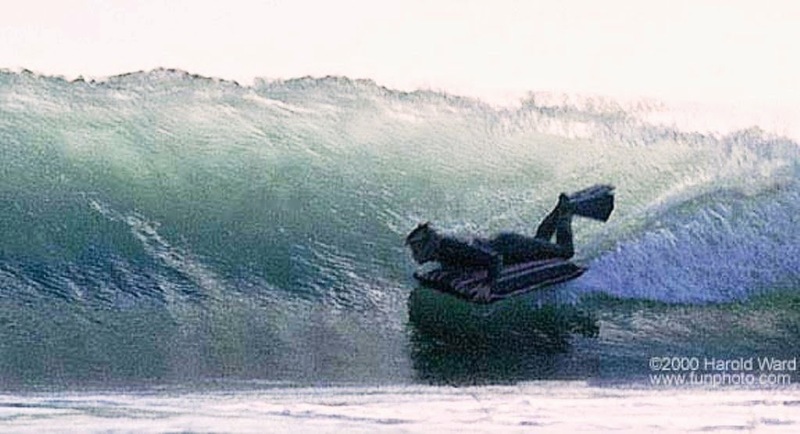 As covered in posting #6, the emergence of the Morey Boogie broke the lineage of mat surfing by 1974, because Boogies provided a more practical alternative for the recreational beach goer. 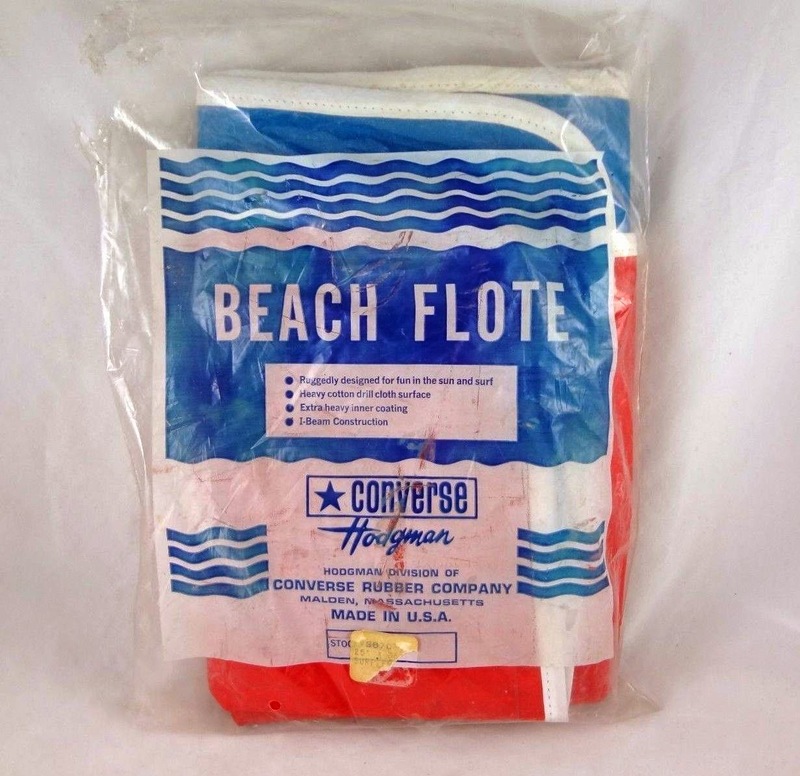 The reliable Converse Hodgman surf mats of the 60's and early 70's ceased production, and we were left riding our dwindling stash of Hodgmans...later followed by whatever else we could find in the market place. 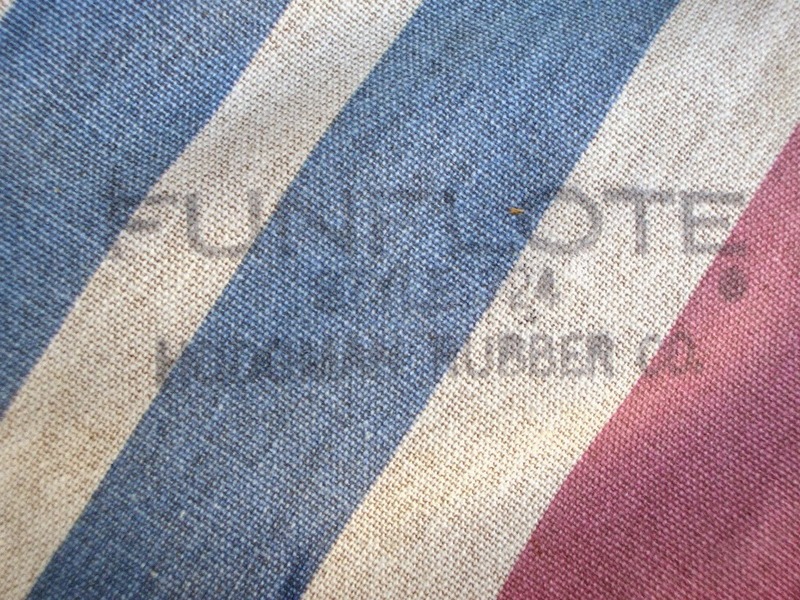 During the post-Hodgman era (roughly 1978 onward) we had a choice between the ubiquitous dime store cheapy mats -- which tended to be too small in dimension and too short on durability -- or slightly better surf mats imported from Taiwan with an Australian surf corporation logo stenciled on the deck. Some of those imports had skegs and handles bonded onto them. Some even had crudely pointed noses as well. 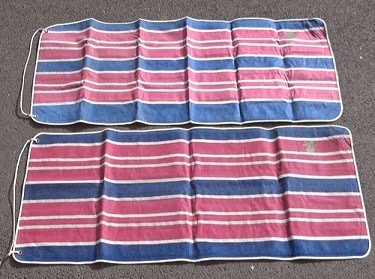 Rip Curl and Merrin were the primary distributors of these mid-range quality mats, and by the fall of 1978, George started bringing suitcases filled with Merrins back to California when he returned from his annual stint in Australia. ...and transform them into "serious mats for serious mat surfers." George's long-held belief that softer mats (either loosened up through repeated use, or ridden with low inflation, or both) were faster had been proven time and again. 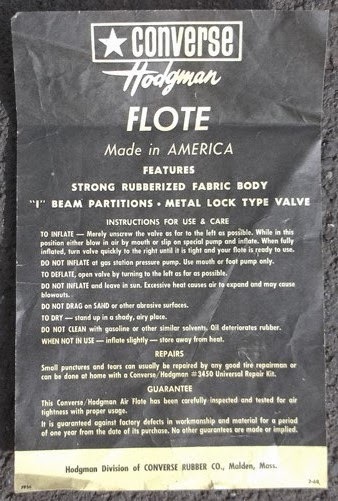 Without us knowing it, going all the way back to the 60's, that had been 'Phase 1' of the slow leak mat revolution. 'Phase 2' began to coalesce in 1978, when we would alternate between old, fully broken in Hodgmans and crisp new Merrins the same day in the water...and the Merrin would be faster because they were flimsier. Merrins turned out to be fun to ride, in many ways better than the more durable Hodgmans. At that point, we had no idea what the limit was for a soft, pliable mat. All we knew was that Merrins had opened our eyes to the advantages of mat which was even more compliant than a broken-in Hodgman. But again, we had no idea how far we could take it. After a year or two of use, our first-gen Merrins became worn to the point of being threadbare...and, like a broken-in Hodgman, they went even faster! So broken-in Merrins became 'Phase 3' of the slow leak revolution. 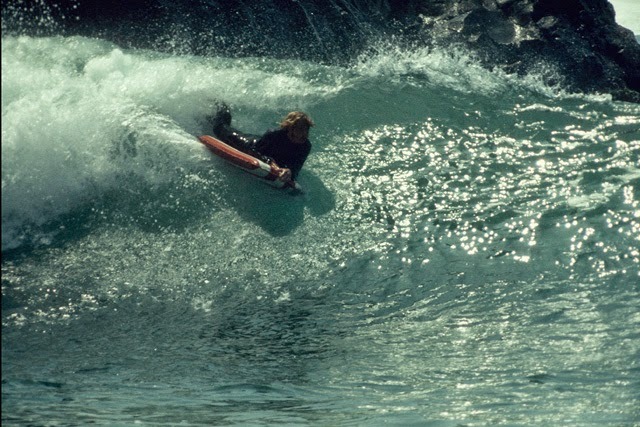 One afternoon in the upper parking lot at Rincon, probably around 1980 or '81, Greenough floated the idea that maybe we should peel the fabric off the bottom of our tired Merrins, leaving just the thin rubber inner lining. Paul Masiel and I scoffed at the notion, assuring George that the bottom would explode before he even made it out through the shorebreak. And even if he did make it, there's no way something that radical would work on a wave. George being George, he took that as a challenge. The three of us paddled out, and after we'd made it to calm water, George rolled off his mat and started tearing the fabric off the bottom. Paul and I looked at each other, rolling our eyes. George sensed our disapproval and said something like, "I don't care if my mat pops...all I need is one wave to tell us if this is a good idea!" A little set rolled in (like, shoulder high) and George spun around and took the first wave. I caught a later wave in the set, and as I rode towards George, who was paddling back out, he had that steely-eyed stare that he gets when he's right about something, and wants you to know it. 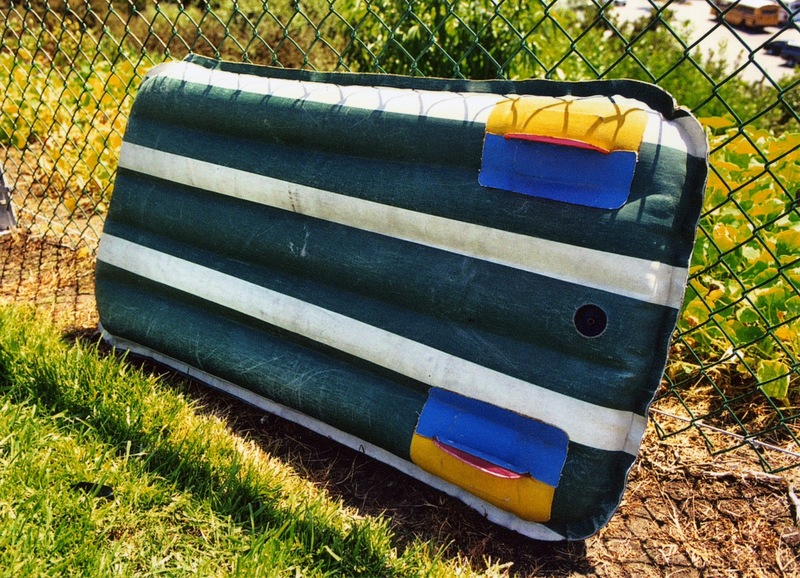 I pulled out of my wave, and he paddled up to me, slipped off his mat, shoved it towards me and barked, "Try this." By dark that evening, all three of our Merrins had the bottom fabric peeled off. The rubber bottomed mats were so pliable, they jumped gears without any input from the rider. We could set them in trim, the bottom would conform the wave face, and the mat would just keep accelerating. George started calling them "Peelers." While the Peelers didn't pop after 5 minutes as we feared, they were extremely fragile because of their thin rubber bottoms...so it didn't take much to ruin one. If they touched the bottom when you were paddling out, it was over. If you rode too far up onto the sand coming into the beach, it was over. They weren't practical, but as George pointed out, "If we have to break out a new Merrin every other week, the performance is worth it!" For all the shortcomings of the Peelers, they became 'Phase 4' of the slow leak revolution. Our observation at that point was that every time we rode a thinner skinned mat, it worked better. We still didn't know what the lower limit would be...but thus far, the more flexible a mat's skin was, the more performance a rider could wring out of it. The opening shot is of George and I carrying Merrins up the point. The wave I'm riding, right at the start, was the first wave I ever rode on a Merrin. You can see I'm a little tentative with the small size of the mat, and the slippery deck (compared to the coarser Hodgmans.) George had been riding his yellow Merrin for some time, and was totally tuned in. All but one of the shots in this clip are of us riding Merrins. The POV/backpack shot George took, at the 1:45 mark, is of me on a "Stripes Across" Hodgman. That shot was taken the day before the other shots were taken, and that was the last time I ever rode a Converse Hodgman in earnest. After I surfed my Merrin a few times and got the hang of it, I liked it better. FWIW, the Merrins in this sequence weren't Peelers. George didn't come up with that idea for another couple of years.